The Password:JDM Carbon Kevlar Airbag Trays have been described as a work of art! We showed this off and everyone only had nice things to say! But to us, it’s just another product that we should have made available a long time ago. 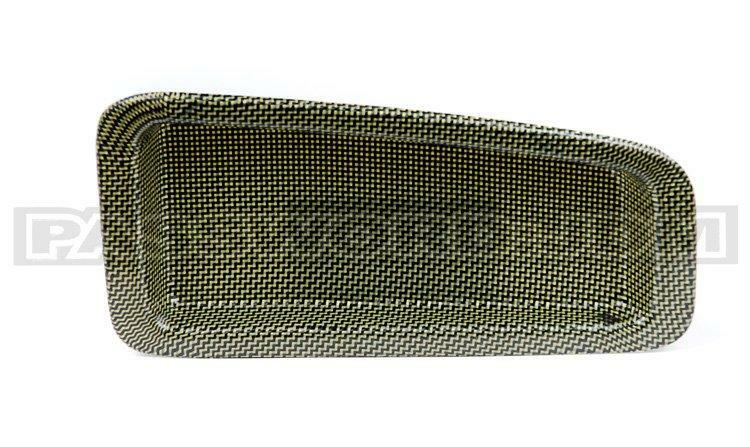 Our Password:JDM Carbon Kevlar Airbag Trays are a direct replacement! It’s perfect for those who choose to have their airbag removed for safety reasons on road courses or when drag racing. Crafted from aerospace grade 2×2 twill Carbon Kevlar and 100% high solid epoxy resin, our bags trays are designed to fit the USDM vehicles without any modification to your stock dash. What this means is that you can retain your factory airbag and reinstall it later if you need to. The Password:JDM Carbon Kevlar Airbag Trays are truly plug & play! Installation takes less than 20 minutes, and requires only the basic tools that every car enthusiast should have! A quality fit and finish is guaranteed. The Password:JDM Carbon Kevlar Airbag Tray is a nice finishing touch to any vehicle that’s show/race worthy. These are high quality pieces crafted here in the States. Like all of Password:JDM’s products, these are produced one at a time. The exceptionally consistent quality you would expect from us is delivered each and every single time.